I spent the weekend scrapbooking and spray painting my name onto my Copics so I didn't get a chance to colour. Unable to stay away for long I made this card. A friend of mine has Monarchs in her yard so that inspired me to make this little Monarch girl, here. 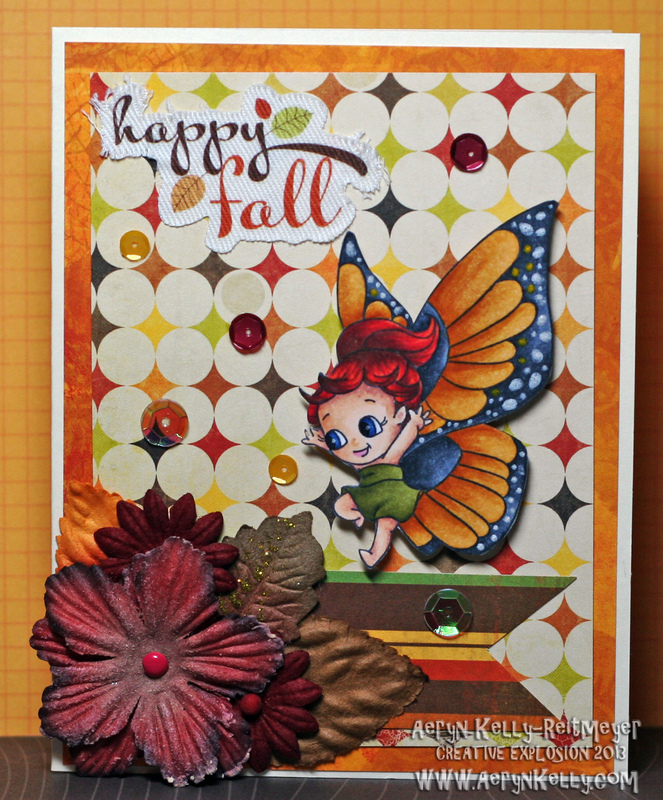 It was fun to make a project that just *screamed* "Fall!"